It’s been too long since our last “Spotted” post; plus, there’s no better way to segway back into reality from a weekend of holiday indulgences. WHO: Stephanie Kay, designer behind the adorably chic headband-meets-turbans, so aptly named Lovely Bands. The brand reflects her both her modern approach on accessories as a girl’s creative means of self-expression as well as her personal take on all things fashion. She’s also the blogger behind a beautiful Tumblr, chock full of inspiration to the nines. 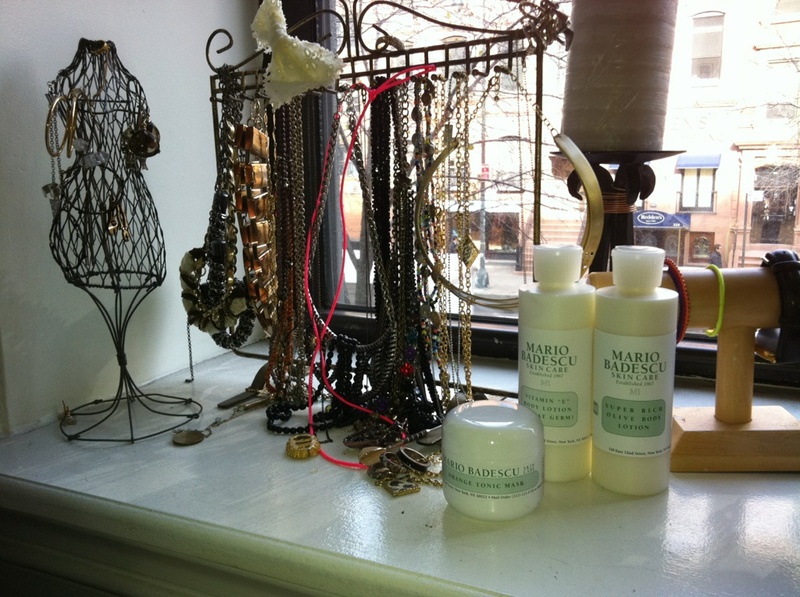 WHERE: On a pretty shelf alongside an enviable collection of jewelry, snapped oh-so-sartorially on her blog. WHAT: Orange Tonic Mask, Vitamin E Body Lotion (Wheat Germ) and our Super Rich Olive Body Lotion. WHY: It’s short, sweet and to the point: a girl after our own heart.